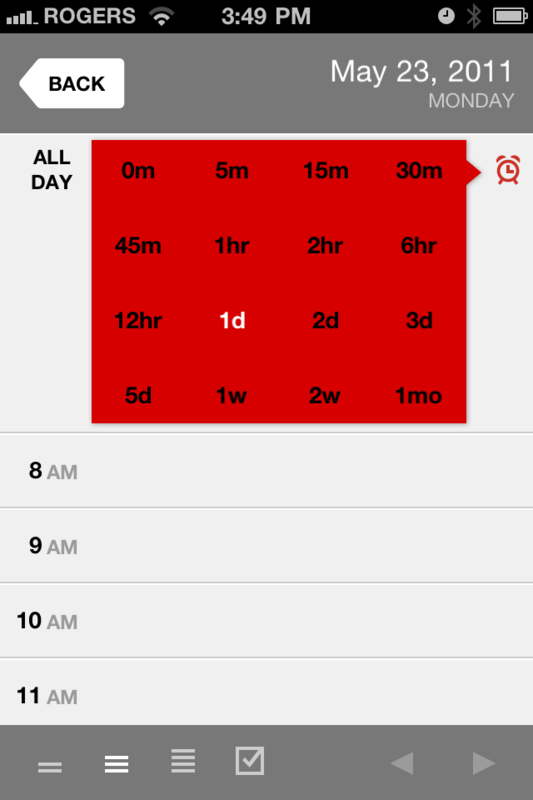 This a great alternative to the standard calendar that the iPhone comes installed with. It has a different UI and at the moment two different themes. I would really like to see more themes, as the second theme is just black and blue and not that pleasing to the eyes. It looks like a giant bruise took over the screen. The app is solid and comes with the same functionalities as the standard calendar and it syncs itself to your current one, so the transition into using Calvetica is seamless. 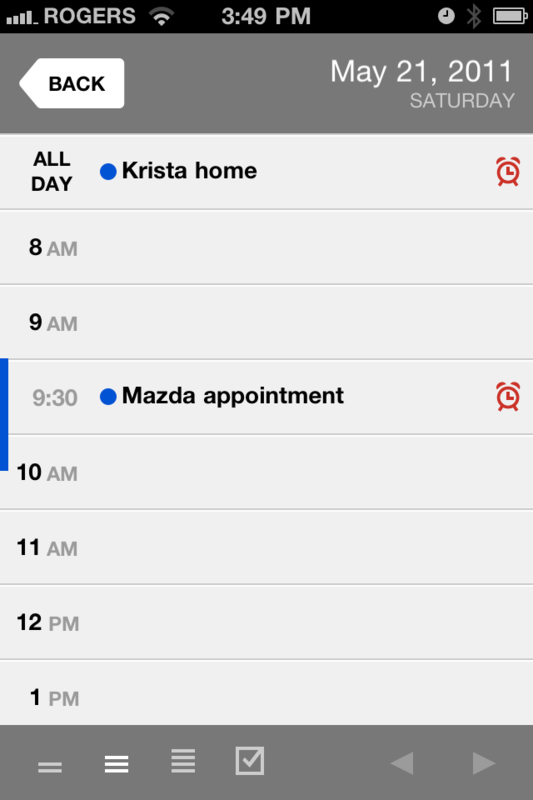 Moving appointments is very easy and you can set way more reminder alarms than the standard two. The variety of times you can choose from, as a reminder is also impressive. The alarms can be set to remind you up to 1 or 2 months before the event. You can set how much and how little you want to see in the calendar as well. Calvetica can be set so that in one day you can see all your events or you can choose to see only work hours (8am – 5pm) or the entire day. This is handy so you don’t have to go scrolling through the entire day to see all the events you have scheduled. 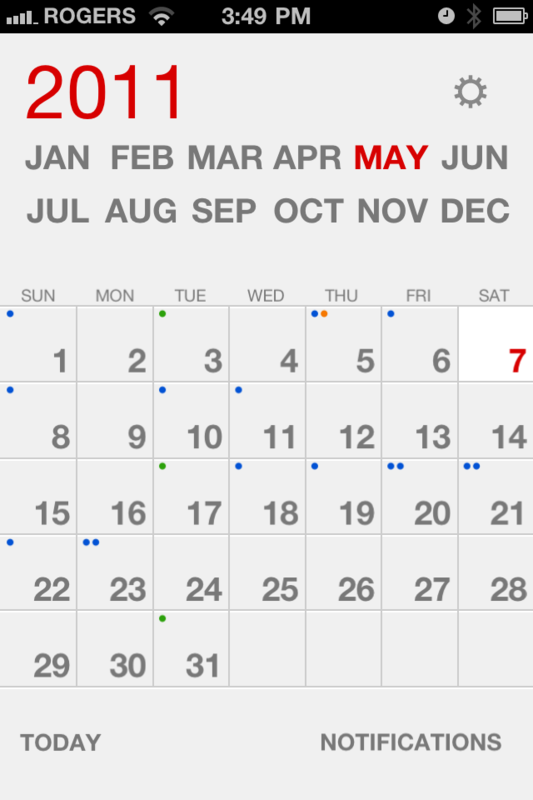 Calvetica keeps the little dots that show you how many events in the day there are and the dots are color coated to what is set in your standard calendar. 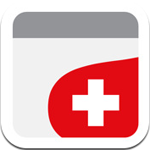 Overall, this is a great app and an excellent alterative to the iPhone standard. I would like to see more themes offered in the future, but functionally this app is fantastic. I am using it frequently and setting up events quicker than I was before and finding that I am inputting almost my entire days activities into the calendar. I’m not sure why, but maybe because I like to feel important? Perhaps. So if you are looking for a great looking, easy to use calendar, Calvetica is the one for you. Who Owes Who – Dr. Seuss Book or iOS App? © Copyright 2011 AppTa.co. All Rights Reserved.